Worried about sarcoids? Vet Gil Riley is here to explain all about them. Sarcoids are a benign skin tumour and pose as many questions as they answer. They are spread by flies, but immunity is an issue. Horses in a herd with high immunity to sarcoids won't develop them and the cause is most certainly spread by the bovine or papilloma virus. Among horses, there are different levels of immunity. 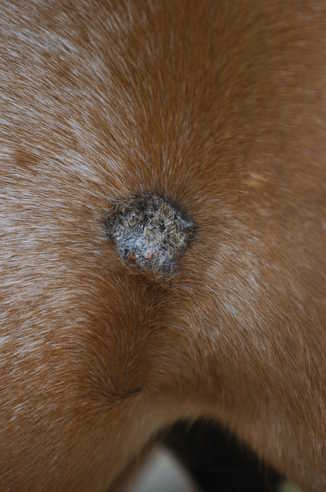 Some horses will have full immunity, others may develop one or two sarcoids, and some are unlucky to have a low immunity to them and develop clusters. There are many different treatments, but even if successful they can't guarantee the sarcoids won't re-grow. The most popular way to kill off a sarcoid at present is laser surgery, which singes the blood vessel so they can't spread.